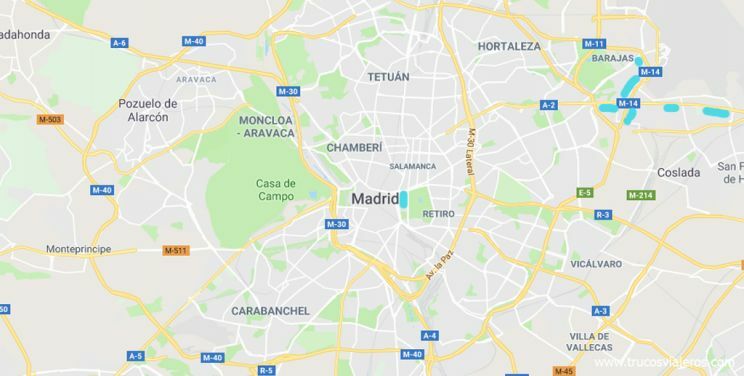 I will start by saying that Madrid is not far from the airport, so in 20-30 minutes you can go from Madrid’s downtown (Sol, Plaza Mayor, Cibeles) to the airport by car. If you add to this one of the best networks of buses, underground and trains, there is no real need to sleep at the airport in most cases. First things first: Can you sleep at Madrid airport? The only accommodation option inside the airport are the AirRooms at T4, but their 22 rooms are way overpriced compared to the rest of the options below. You can book them by night (in theory also by hours) but they lack any food options. What they do have is that you are inside the airport and, with the free bus transfer running 24 hours to get you to any of the other terminal buildings, you will be there on time for any early flight (and you do have a McDonalds which opens 24 hours). Another option inside the airport where you can sleep a bit are the VIP rooms. Madrid has 3 of them which open 24 hours, but they are all at the non-Shchenghen area (for flights outside Europe, Terminal T1 and T4S) and you can only get in 3 or 4 hours before your flight, so it is not a great sleeping option. But you do have showers, wifi, food and drinks (free), press… They are available through Priority Pass and through Aena’s website. Not a positive sight is it? That’s the reason why it is more frequent now to see backpackers sleeping at the airport, waiting next to the Ryanair desks for their check-in time. It is safe, there’s a lot of police, but you won’t find comfortable chairs to sleep on, so I wouldn’t recommend it. Which are hotels near the airport? Let’s be honest, the only reason why you are reading this is avoiding taxi fares (and availability) at night and feeling sure that you won’t miss that flight. So, if you prefer comfort, your best option are the hotels with free bus transfer to the airport. If your flight departs before 6 in the morning, you will need to be at the boarding gate before 5:30 (always at the time set on your boarding card or 30 minutes before the flight when flying inside Europe), plus checking in luggage plus the 20-30 minutes it takes you to get to the airport… you need to be leaving your hotel about 4:30 or earlier. The Hostal Delfina, a quirky spot just above famous Museo Chicote (not a museum but a bar where Ava Gardner, bullfightera and writers use to spend the night 40 years ago…) This is a basic spot run by lovely Delfina, but hard to book online. Prices don’t change depending on trends, individual room is 37€ and double is 57€ per night and all of them have private bathrooms. The Hostel Far Home, which has both private rooms and shared dorms. It does have women-only rooms, so it’s a plus. Private rooms from 57€ per room and night and dorms from 18€ per person and night. Of course, you have many more options in the Cibeles area, but they are a bit more expensive (and you are only sleeping 4 or 5 hours). Taking the same calculations as above, you would have to leave your hotel about 1 hour and a half before your flight departure time (at least) so bus, train and underground are still not available, as you can see at this post. Axor Barajas and Axor Feria. These are two hotels from the same chain that are side by side. They are located at Canillejas Industrial Park and have big (but basic) rooms, that are cheaper on weekends. The area might not be stunning, but you do have a big Shopping Mall next, with all sort of services, including restaurants and cinemas. Their free transfer service starts at 5 AM but it is better booked beforehand. Prices start at 65€ per room and night but they also have family rooms. Marriott Hotel Auditorio. This big hotel has its own convention center, swimming pool, and their free transport to the airport starts at 5AM too. Better design, big and comfortable rooms and many inside services, but far away from shops, cafes or anything else. From 70€ per room and night. Hotel Alcalá 611. This is a city hotel, next to buses and underground, so it is close to the airport and in the city. It also has a free transfer service to Madrid’s airport at 5:00, 6:30, 8:00 and 9:30 (only at those exact times). Even thought the options above are wider, the good side of this place is that you also have the stop for the 200 bus, which takes you to the airport for only 1,5€ from 5AM on (every 10-20 minutes). The area is not super top, but prices starts at 45€ per room and night. The Principal. One of the last hotels to come to town and why not? one of those places I would love to sleep at if I had the budget to it. It belongs to the Leading Small Hotels of the World, it’s location perfect and has an amazing roof top bar. Plus, they give you a 4G wifi to carry around town. Prices from 200€ per room and night. Hotel de Las Letras. This themed hotel around the Spanish literature icons is also location perfect to take the 5€ bus to the airport at Cibeles. Cheaper than the one above, it is a very nice choice. Rooms from 140€ per room and night. Hospes Puerta de Alcalá. Two steps away from Retiro (literally) and less than 5 minutes walking to the bus stop of Cibeles, this classic hotel also allows pets inside. Rooms from 180€ per room and night. The Casual Madrid del Teatro, a funky hotel next to the Congress and Letras neighbourhood, is theatre and music halls’ themed and a nice option if you prefer a different hotel with a lot of history behind (and next to some amazing food options I must add). Rooms from 70€ per room. Also, hotels near Avenida de América could be another interesting option, as you have the bus 200 to the airport starting at 5AM. But I haven’t stayed at any of them, so I can’t recommend. 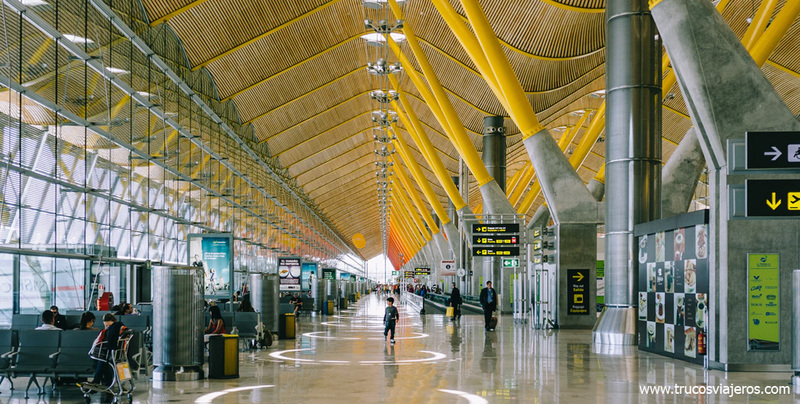 Any hotel near Atocha, Recoletos or IFEMA would be a fast option to the airport. Just check the best options to go to Madrid Airport by public transport at night.